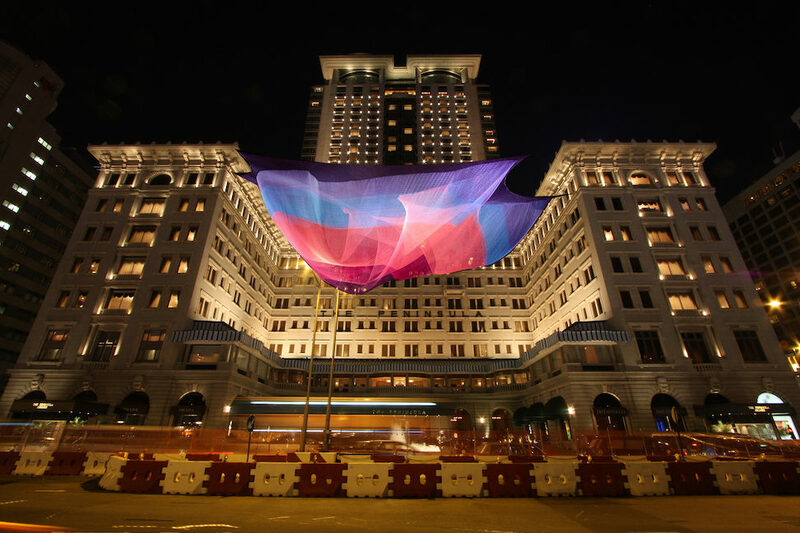 Shopping malls, hotel lobbies, Victoria Harbour—platforms for both emerging and established artists are everywhere during Hong Kong's Art Week. 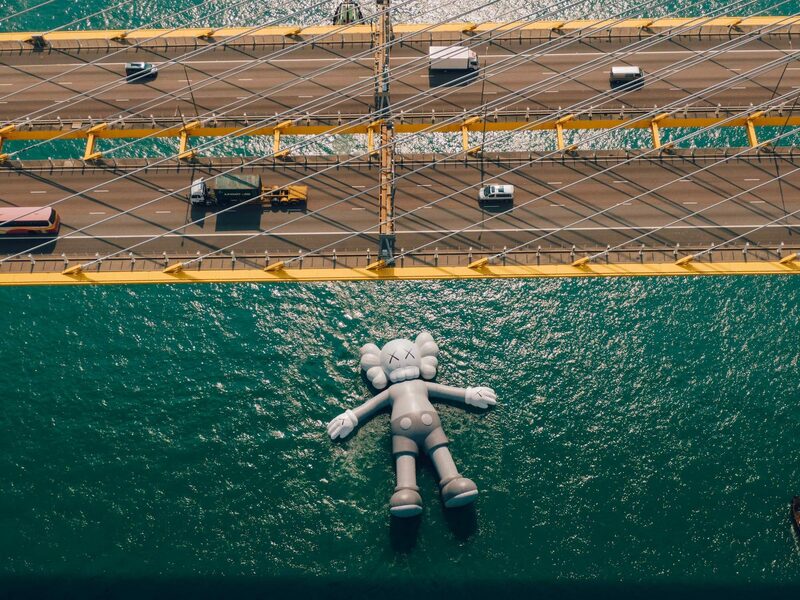 The impact of contemporary art on the global financial hub that is Hong Kong became considerably more noticeable last weekend when Holiday, a massive inflatable sculpture by the American graffiti artist KAWS, alighted on Victoria Harbor in advance of Art Basel Hong Kong, taking place from March 29 to 31. 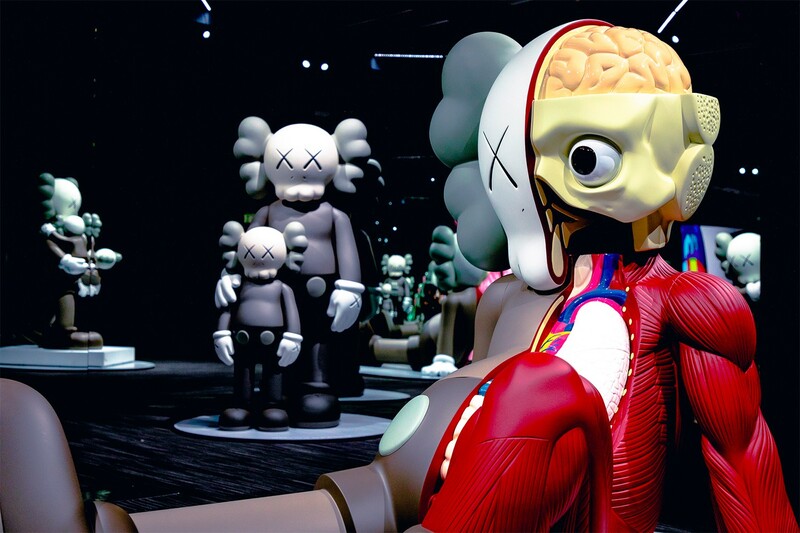 The gargantuan, bizarro Mickey Mouse, previously seen in Seoul and Taipei, had to be decommissioned due to inclement weather, however, smaller works by KAWS are on display at the colonial police station turned cultural center PMQ through April 14. Supersize cartoon characters aside, there are plenty of eye-catching attractions to see this weekend—especially outside ABHK’s main event. Among the most compelling is an “Only in Hong Kong” exhibition, Heritage Is Innovation, which pairs established design talents such as Lyndon Neri and Rossana Hu with promising young local creators. Organized by the Design Trust, the ongoing series of conversations and site-specific objects also offer a peek inside Haw Par Mansion, built in 1935 in the ornate Chinese Renaissance style for the heirs to the Tiger Balm fortune. Reasons to head for Kowloon include K11 Art Foundation’s first contemporary art exhibition, Glow Like That, in the new Victoria Dockside space. 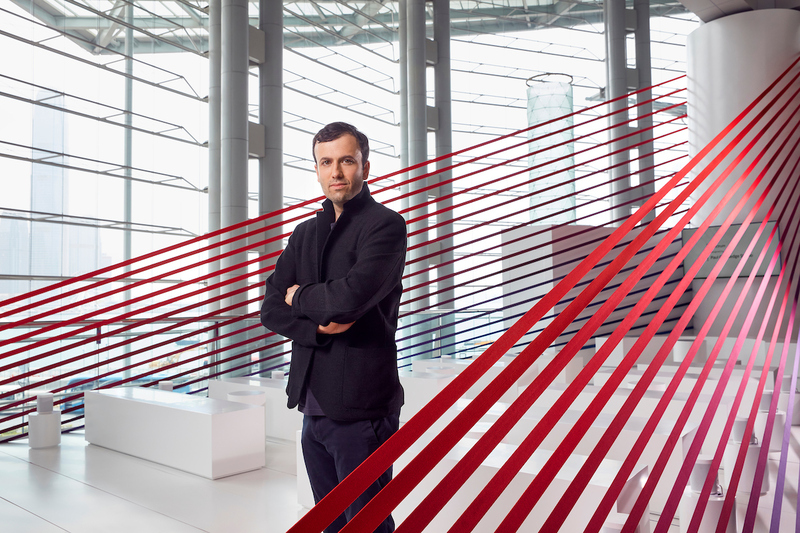 The show examines how 16 artists from around the world make art out of light. Nearby, Hong Kong’s newest museum, M+, presents Noguchi for Danh Vo: Counterpoint, a visual, time-traveling dialogue between the legendary Japanese-American artist and emerging Vietnamese-Danish artist Danh Vo. Another engrossing juxtaposition, Pieter Hugo: Africa to China, will be the South African photographer’s debut show in Hong Kong, at Pekin Fine Arts in the South Island Cultural District, my personal favorite arts corridor in the city. 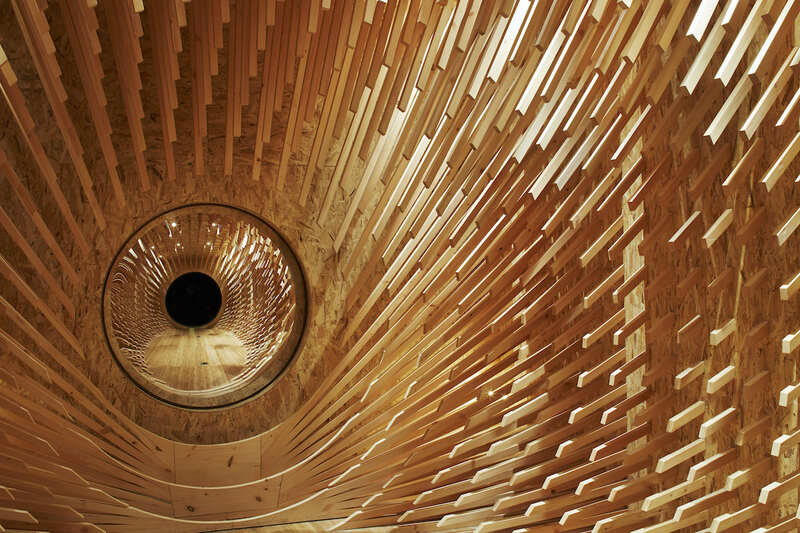 Amid this veritable cultural boon, which also includes James Turrell’s Yukaloo, his first institutional installation in Hong Kong, the city’s hotels are emerging as serious voices in the local art conversation. When I moved to Hong Kong, in the early 1990s, hotel art was an oxymoron of gilded frames housing fuzzy brushstrokes of pastoral or marine scenes in muted hues, usually chosen by interior decorators to match the couch. 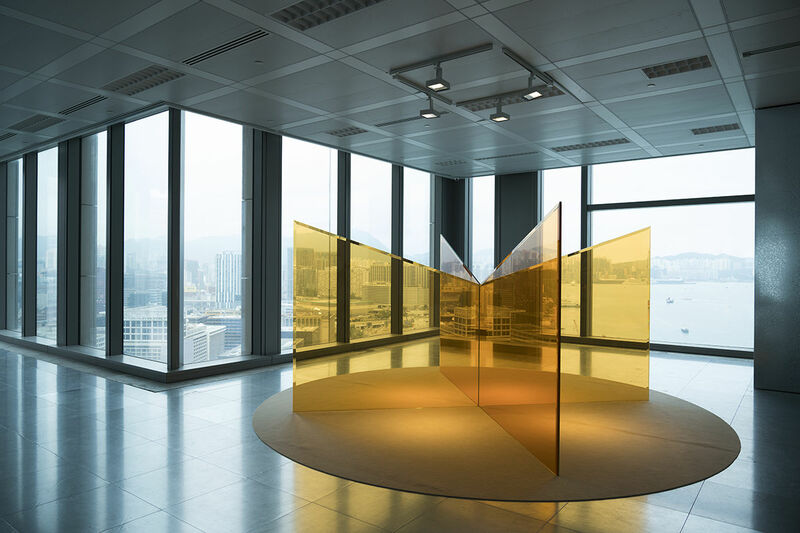 Fast-forward to this month, when Swire Group, the Hong Kong conglomerate behind The Upper House, turned its considerable property portfolio in Hong Kong into a dynamic backdrop for cutting-edge contemporary art. 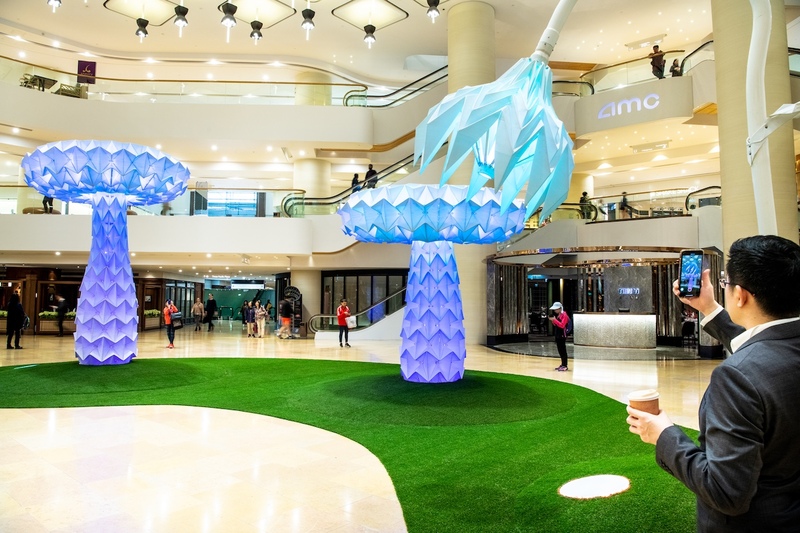 LUMENous GARDEN, a duo of kinetic works by the San Francisco art collective Foldhaus, is on display at Pacific Place, Swire’s upscale, perennially popular shopping mall between Central District and Wanchai, where Art Basel takes place. Created for Burning Man, then shown at the Renwick Gallery of the Smithsonian American Art Museum in Washington, D.C., Shrumen Lumen is a collection of colossal origami mushrooms that morph in shape and color with human touch, while Blumen Lumen is a garden of origami flowers 15 to 22 feet high that “bloom” in response to human proximity. “We were drawn to Swire’s theme of ‘art for everyone.’ It’s really the same message as Burning Man,” says Foldhaus member Joerg Student. As we discussed these interactive art pieces that rise to museum quality yet still manifest intimate moments of joy and surprise, I was struck by another of the artist’s observations. “We’re about creating the experience,” said Student, a notion that will resonate with anyone who has stayed at The Upper House. Conscious efforts to support local talent isn’t limited to power players like Swire and Peninsula. Millennial-minded Eaton Workshop dives into its first Hong Kong Art Week with a three-day, all-inclusive art and music party called Dreamrave, taking place at Terrible Baby, the in-house music venue. New media artists Adrian Yu and Ian Glover—along with sound artist Danny L Harle—collaborated to create an immersive installation aimed to “interrogate the intersection of the digital and physical through collective dreaming.” The performances will be split into five acts, to reflect the stages of sleep, culminating nightly in the REM state, when dreams are most vivid. Also on the “all-inclusive” agenda, a play on hotel terminology, are appearances by femme-identifying, queer, and non-binary artists including Zoe Marden, Sagg Napoli, and Yaya Bones. The latter describes her work as “a spiritual practice that seeks to fuse activism and art to present an alternative queer, optimistic dystopia,” proving that Eaton has found its own niche, apart from its traditional neighbors in an increasingly more inclusive Hong Kong. An altogether different yet equally impactful creative collaboration, the 66-room Tuve hotel, in Tin Hau, a neighborhood on the verge located to the west of the frenetic Causeway Bay district, seems a natural partner for Fernando Mastrangelo, the Argentine sculptor (and Matthew Barney protégé) known for working with organic and appropriated materials. The hotel’s interiors of steel, concrete, and marble are minimalist in the extreme yet highly intentional, with custom finishes chosen to induce emotional resonance, down to details as tiny as the oxidized bathroom hooks. Tuve’s young team found resonance in Mastrangelo’s work, which similarly strives to create a universe in which landscapes are re-created in the man-made through intentional textures, and by layering in the human condition. Knowing that Mastrangelo would partner with Audemars Piguet to transform ABHK’s collectors’ lounge into a mini mountainous vista, replete with gradated walls of stone and crushed glass chandeliers inspired by the Swiss Jura Mountains, Tuve invited the Brooklyn-based artist to film his entire ABHK journey, including his stay at TUVE and his booth at the fair. One of my favorite homegrown brands, Ovolo, has partnered with Art Central participant Melbourne’s MARS gallery, to activate spaces with four artists at Ovolo’s central property. Visitors will discover a site-specific commission for Australian painter John Aslandis—whose work is grounded in physics, mathematics, music theory, and Aboriginal culture—and a video art piece created for the elevator by Stephen Haley using 3-D modeling software and filmed by a virtual reality camera. The effort also encompasses subversive performance artist Hannah Raisin’s cheeky bathroom projection that challenges the norms of ladylike behavior. It’s the perfect metaphor for Art Basel Hong Kong as it enters its sixth edition—braver and bolder, ready to stand eye-to-eye with its more established sister fairs.